Effective June 1, 2016, Crawford Jones will serve as Corporate Senior Director of Customer Management and PRGM for Coca-Cola UNITED. Crawford will continue to lead his current organization, as well as accepting the responsibility of serving as Coca-Cola UNITED’s lead representative on the Coca-Cola System’s Customer & Commercial Leadership Team (CCLT), and on the Revenue Growth Management (RGM) Charter Team. Previously, Crawford J. Jones served as Director of Customer and Revenue Management for Coca-Cola Bottling Company UNITED, Inc., overseeing all National Retail customers, pricing and revenue management. Prior to his current role he worked in the Coca-Cola system in Charlotte, NC as a Management Trainee and in Baton Rouge, LA as Key Account Manager and Key Account Director. 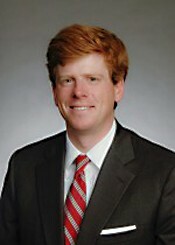 Crawford received his BA in Economics from The University of the South in Sewanee, Tennessee and his MBA from The University of Alabama. Presently, Mr. Jones serves as an active member of Children’s of Alabama Committee for the Future, United Way of Central Alabama Board of Directors, The University of Alabama at Birmingham Leadership Steering Committee, Rotary Club of Birmingham, and Preschool Partners. Crawford and his wife Stewart, have two daughters, Heyward, Anne Turner, and Julia will will continue to reside in Birmingham, Alabama. The Jones family attends the Cathedral Church of the Advent.